Mark your calendar now for an Ice Cream and Candy Fundraiser at Norwood’s on Main Street in Sykesville which is set for Thursday, February 22nd from 12:00 p.m. – 7:00 p.m. Enjoy an ice cream snack, take some home for later, or stock up on Wockenfuss candy for Easter. 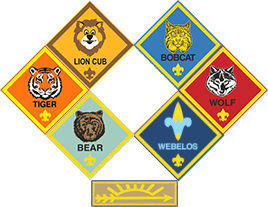 Cub Master Pat Komiske will be the Guest Scooper from 5:00pm – 6:30pm! When: Thursday, February 22nd 12:00 p.m. – 7:00 p.m.